WROCLAW, POLAND – Canada advances to the finals of the 2017 World Games after a 14-8 win over Australia. They now will face-off against the United States for gold, a rematch of last weekend’s 2017 FIL Rathbones Women’s Lacrosse World Cup final, which they lost 10-5. A well-balanced game from the Canadians, who not only scored at will but held off a potent Australian attack, proved to be the winning formula. Their offence took no time to find its stride, building a 5-1 lead in the first 20-minutes of the game. The Aussies responded with a few of their own, which Canada quickly matched, giving them a 7-3 halftime lead. The red and white went on another run to open the second half, scoring four unanswered goals in the first 10 minutes to build a commanding 11-3 lead. Despite a late push from the Aussies, who outscored Canada 5-3 in the final 20 minutes of action, the lead was too much to overcome. Dana Dobbie and Erica Evans led Canada’s attack with four points each, the latter scoring her third straight hat-trick of the tournament. Tessa Chad added three goals of her own, while Holly Lloyd and Claire Mills netted two apiece. Defender Lydia Sutton also chipped in offensively, contributing one goal and two assists. The win marked Canada’s fourth of the summer over Australia, the team they defeated most recently in the World Cup semi-finals, albeit in a much closer game, pulling out a 8-6 overtime victory. That loss deflated the Aussies, who would fall short of the podium for the first time in World Cup history a few days later, losing the bronze medal game in heartbreaking fashion, 10-9 in overtime to host England. Australia will look for redemption in their matchup against Great Britain for the World Games bronze medal. 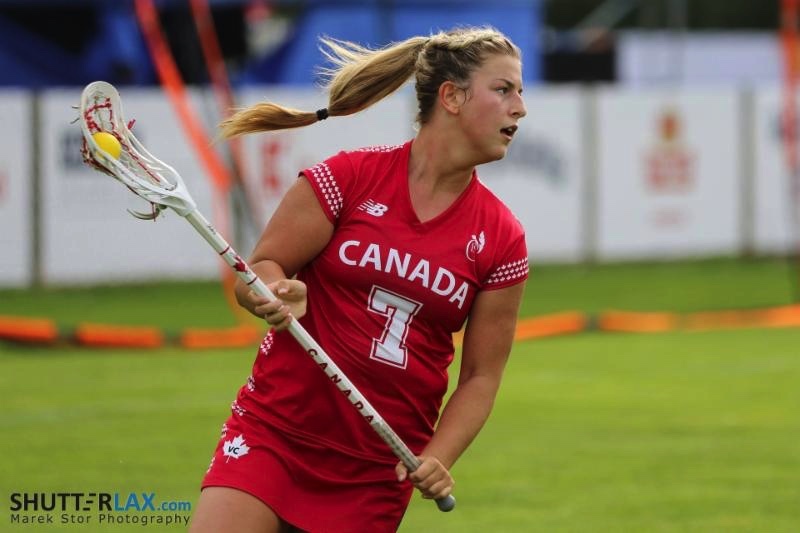 Meanwhile, Canada will take on their rivals from the United States – who advanced to the finals after an easy 18-5 win over Great Britain – for the first ever World Games gold medal in lacrosse’s history. The Canadians will be in tough against the powerhouse Americans, who have scored 52 goals and allowed only 11 in their three games. While it will be challenging, Canada proved they could keep up with the U.S. in the World Cup final, holding them to their lowest offensive output since 2009. A couple of bounces their way and it could have been a much different game. It will be interesting to see what kind of impact the rules changes in place for the World Games, mainly having only 10 players on the field at once, as opposed to the usual 12, will have on the two teams. The championship game, which takes place on July 30 at 8:00AM EST, will be webcasted on a slight tape-delay by The Olympic Channel, beginning at 9:45AM EST. If you want to follow along live, you can do so using The World Games real-time statistics system.